Commissioned military officers are trained in leadership and management. 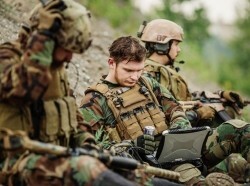 RAND has conducted extensive research to advise policymakers on how to design training and career development programs that will attract and retain military leaders capable of meeting a nation's strategic goals. Supplemental Career Paths for Air Force Pilots: A Warrant Officer Component or an Aviation Technical Track? 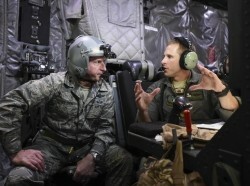 This report documents analyses of two ways to supplement the traditional Air Force pilot career path to enhance force sustainment: a warrant officer component to fill pilot requirements or an aviation technical track for commissioned officers. 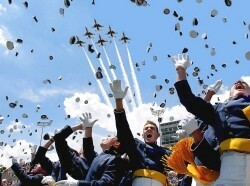 Women are underrepresented among the U.S. Air Force's senior leadership. This could be robbing the service of the potential to improve innovation, agility, and performance. The Air Force is working to address diversity in the service, and it continues to work to improve representation of women within its ranks. 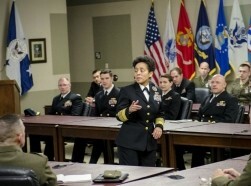 To reinvigorate graduate-level professional military education, the military could carve out a unique educational niche by focusing on intense, quality staff officer education that is more relevant to understanding the demands placed on top defense leaders. This report provides a preliminary evaluation effort of the implementation of the physical tests and standards being adopted by the U.S. Air Force Tactical Air Control Party and Air Liaison Officer career fields. Women are underrepresented among the Air Force's senior leadership compared with their representation among the lower ranks. Focus groups with female officers identified key retention factors and potential ways to improve Air Force policies and programs to address female officer retention. This report documents how the Air Force could reduce the impact of institutional requirements on manpower in traditional career fields while ensuring that the organizations that depend on them are staffed with the qualified personnel they need. As ground combat jobs transition to include women, efforts to improve the recruitment process are expanding. Having more female recruiters could help, as could creating outreach materials that counter stereotypes and highlight the roles of women in the military. 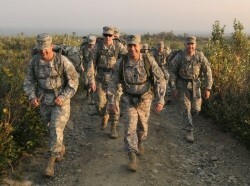 Leader development is one of the most important priorities for the U.S. military. How can the development of senior leaders in the reserve be improved? And how can leader development policies serve the goal of an effective and integrated Total Force? This report examines ways to improve reporting on promotion objectives for officers who have served on the Joint Staff or in the Office of the Secretary of Defense staff or are joint-qualified officers or Acquisition Corps members.